15 piece premium cleaning kit all packaged in a quality range bag. All you need to fully clean and maintain your 50 caliber muzzleloader, plus plenty of room to carry primers, pellets and bullets. Numerous pockets and compartments keep everything organized. 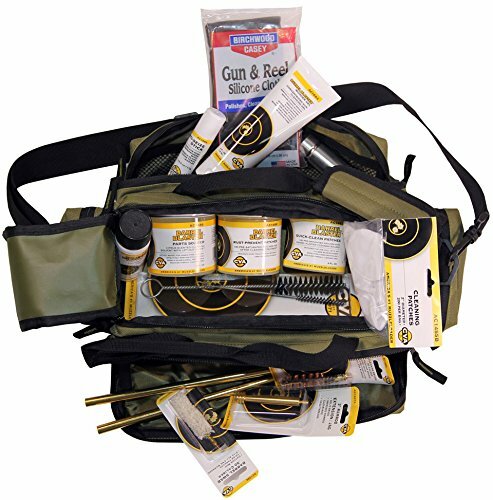 The range bag is USA made and has 15 cleaning pieces included and enough room leftover for bullets, pellets, primers and loading accessories. If you have any questions about this product by CVA, contact us by completing and submitting the form below. If you are looking for a specif part number, please include it with your message.